Something strange in a bangle shop! Notice anything strange in this picture? Something that would be absolutely out of place in a bangle shop? Look close, that isn’t a stuffed toy near the necklaces on the right. 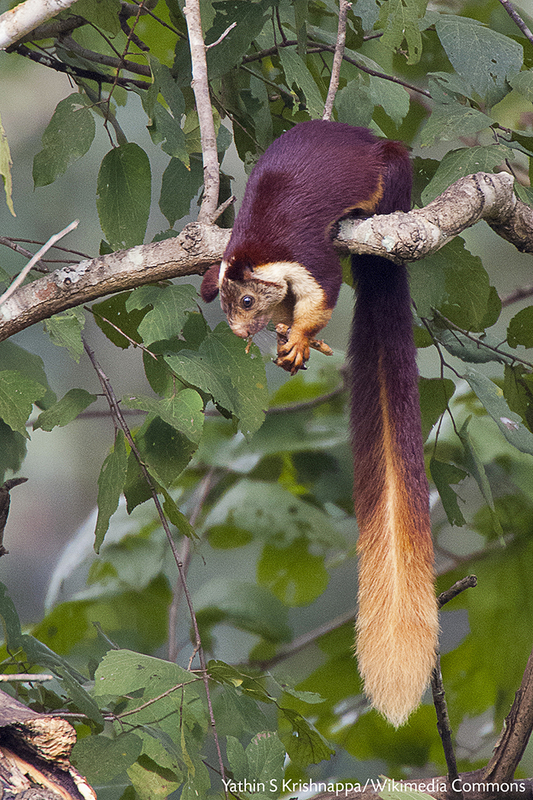 It’s a Malabar giant squirrel! This squirrel is the size of a small dog, has a gorgeous burgundy and cream coat and spends most of its day jumping from tree to tree high up in the canopy, nibbling on and gathering fruits and flowers. Hmm… an arboreal squirrel with its loud staccato call, all meek and quiet, curled up in a corner—what’s it doing in a bangle shop? Last morning, perhaps chased there by a dog, this squirrel took refuge in a shop in Valparai’s busy market area. 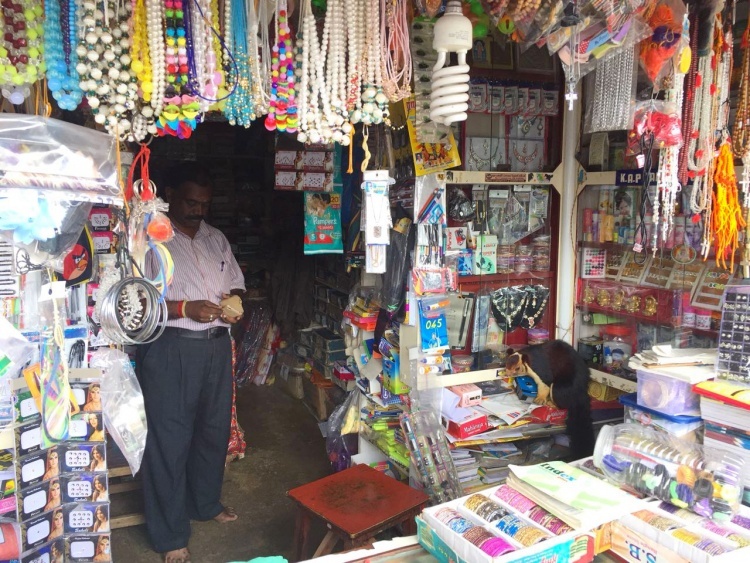 Shopkeepers called to inform us (and by us we mean our researcher Ganesh Raghunathan). Locals in Valparai have our numbers and call us to tell us about where elephants are roaming on the plateau, and this crucial realtime information fuels our early warning systems. 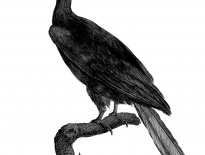 But sometimes, apart from the regular low-down on elephants, we receive calls about other wild animals like snakes, monkeys and squirrels as well. The Forest Department rushed to the shop, and thanks to them and the concerned Valparaians, this fella has been rescued and released in a safe, tree-filled place close by, away from the madness of the market.